"It is time to stop kicking the can down the road," Governor Evers said. Monday’s meeting will cover the highway program and funding alternatives. Along with extreme cold, blowing snow and bitter winds, add black ice to the already dangerous driving conditions. With a deep freeze forecasted to impact Wisconsin this week, plunging temperatures could impact salt effectiveness, vehicle performance and traveler safety. The order determined that Cuzco Auto Mart was in violation of state law, including odometer tampering, title fraud and selling vehicles without a retail dealer license. Quarterly payments for cities, towns and villages are sent the first Monday in January, April, July and October. Last year in Wisconsin, alcohol-related crashes resulted in 169 deaths and more than 3,000 injuries. The grants assist local public entities and private, non-profit agencies in rural and smaller urban areas. Wisconsin’s rail system consists of 10 freight railroads, which operate more than 3,300 miles of track in the state. Motorists should be aware of increased deer activity this time of year, especially during early morning and early evening hours. Please note that this work is weather dependent and subject to change. "This program enhances public mobility, economic development and the overall quality of life for our citizens." Due to recent flooding and the potential for more rainfall, motorists may encounter closed roads or road crews working to reopen flooded highways. The contractor, Payne & Dolan, Inc., is planning on completing the $2.8 million contract by this fall. The Disadvantaged Business Enterprise (DBE) goal is 10% of the $161.6 million contract. The 18.5-mile I-94 corridor will be open with all new lanes by Memorial Day 2020. Governor Walker’s budget included an increase of $20 million to the local bridge program. Work on the project is expected to begin this June with a completion date in late 2019. The primary detour route for navigating interchange access continues to be the I-794 Hoan Bridge. The first meeting will take place on May 10th. The average age of a motorcyclist involved in a fatal crash increased from 30 years old in 1992 to 44 in 2017. As the project advances, access to certain system ramps will continue to become available. WisDOT uses dedicated federal funds to help coordinate 24 OWI task forces across Wisconsin. Through November of this year, 555 people have died in Wisconsin traffic crashes. The “Choose Life Wisconsin” specialty license plate is now available. For calendar year 2017, local governments will share an estimated $433 million from the state transportation fund to build and maintain local roads and bridges. The meeting will follow an informal, open house format with WisDOT representatives available to discuss the proposed project in detail. The top three entries in the three different age divisions will advance to the national competition, with the potential to be entered in the international aviation art contest. Through the first eight months of this year, a total of 396 people have died in Wisconsin traffic crashes. Includes Expressway Policing Aids to the Milwaukee County Sheriff Department for patrol of Milwaukee expressways. The closure is expected to last one month. We did not make this decision hastily nor take it lightly. A combination of state, Milwaukee County and Federal Aviation Administration funds will be used for these projects. One project will reconstruct the primary runway. The closures are necessary for utility work related to private development in downtown Milwaukee. Voters looking to get a Wisconsin ID can turn to DMV for help at wisconsindmv.gov or visit a DMV Customer Service Center to apply. Last month 32 people died in Wisconsin traffic crashes. Get started on obtaining your free identification today. He founded Arrowhead Strategies, LLC, providing lobbying, grassroots and crisis management services to state and national clients. To combat drunken driving, law enforcement agencies across the state will be out in force for the national Drive Sober or Get Pulled Over campaign. Approved projects for 2017 include funding for 15 mobility management projects. New message format aims to help reduce alert durations in Wisconsin. The comment period has been extended to January 15, 2017. The project will not disrupt air or vehicle traffic at the airport. Last year in Wisconsin, 190 people were killed and 2,900 injured in alcohol-related crashes. He was promoted to Lieutenant Colonel in 2015 and to Colonel in September 2016. There are 10 railroads, including four major railroads, which operate more than 3,300 miles of track in the state. General Transportation Aids help defray the costs of constructing, maintaining, and operating roads and streets under local jurisdiction. The deadliest month of September was in 1973 with 116 deaths. Wisconsin’s rail system consists of 10 freight railroads which operate more than 3,300 miles of track in the state. Includes $1.45 million for and Oak Leaf Trail extension from Bender Park to Racine County. Voters are encouraged not to delay in obtaining the necessary identification. If you will be at least 18 years old by the next election, if you are a U.S. citizen, and you are eligible to vote in Wisconsin, you may apply for a free ID card for voting purposes. The Governor’s action releases $26,500 in state funds for the project. Innovative management techniques and technology increased the project’s efficiency and minimized impact on southeast Wisconsin businesses, residents and commuters. Take safety to the next level, and join Wisconsin in keeping Pokémon out of the driver’s seat. The meeting will follow an open house format where WisDOT representatives will be available to discuss the project on an individual basis. Traffic fatalities last month were seven more than June 2015, but two fewer than the five-year average for the month of June. Construction took approximately 18 months. During the Memorial Day holiday weekend, eight people died in traffic crashes. 38 people died in traffic crashes on Wisconsin roads. The meet and greet will be held at the Mt. Horeb Baptist Church, 534 W. Center Street, Milwaukee. So far this year, 79 people have been killed in crashes including seven pedestrians and one bicyclist. For calendar year 2016, local governments will share an estimated $419 million from the state transportation fund. A $2.2 million project will rehabilitate 30-year-old pavement along the 5,535-foot Runway 13/31. Wisconsin ended 2015 with 556 traffic fatalities. Governor Scott Walker today announced awards for seven freight rail improvement projects totaling more than $31 million in grants and loans. To combat drunken driving, law enforcement agencies across the state will be out in force for the national Drive Sober or Get Pulled Over campaign, which runs until Sunday, January 3. Last month also was the fourth safest month of November in terms of traffic deaths since World War II. The program grants are awarded to assist local public bodies and private, non-profit agencies provide transportation services for seniors and individuals with disabilities. There are 13 railroads, including four major railroads, which operate more than 3,500 miles of track in the state. Traffic fatalities so far this year are up by more than 16 percent over last year. The survey is being shared with all 81 of Wisconsin’s public transit systems October 5 to 16. Meeting will take place on Wednesday September 30th at 5 p.m. According to the National Highway Traffic Safety Administration, school buses are the safest form of transportation for getting students to and from school. The Lift Bridge Aids program reimburses cities for costs associated with maintaining and operating lift bridges on highways that provide connections to the state trunk highway system. With 54 traffic fatalities, May was the deadliest month on Wisconsin roads so far this year. "We wanted to offer customers using our online self-service offerings another tool to get their questions answered fast." Traffic fatalities in April were 19 more than in April 2014. $255,975 to Milwaukee County for Expressway Policing Aids. The Milwaukee Task Force will receive $30,000. Zero In Wisconsin smart phone app will help those celebrating St. Patrick’s Day to drive sober. So if you’re planning to celebrate this festive holiday, your plans should include downloading the free Zero In Wisconsin Drive Sober app for mobile devices. Traffic Alert for Marquette Interchange overnight work. Last month, 36 people died in traffic crashes in Wisconsin. WisDOT has chosen an off-peak travel time to minimize delays although some congestion is anticipated. Wisconsin ended 2014 with 491 traffic fatalities. TPC recommends Major Highway Project candidates be added to the list for construction, approves cancellation of two current projects. Westbound lane closure begins at 68th St. Governor Walker today announced 50 awards totaling $3,489,456 in state and federal funds. Governor Scott Walker today announced that payments totaling $104,151,847 for General Transportation Aids. Governor Scott Walker today approved six freight rail improvement projects totaling more than $24 million in grants and loans. International Walk to School Day is tomorrow October 8, and kids across Wisconsin will be hitting the sidewalks! International Walk to School Day is Wednesday, October 8. Governor Scott Walker has proclaimed October 6 to 12 Wisconsin Freight Rail Week. Last month, 43 people died in traffic crashes on Wisconsin roads. With International Walk to School Day less than two weeks away, WisDOT encourages interested groups and communities to get walking! Governor Scott Walker today announced a $1,235,530 project to rehabilitate airfield pavements and make safety improvements at General Mitchell International Airport. Governor Scott Walker today announced a $290,000 project to install new perimeter fencing at General Mitchell International Airport. The Wisconsin Department of Transportation announced approximately $13 million in funding. Last month, 39 people were killed in traffic crashes in Wisconsin. Payments totaling more than $127.8. million have been delivered to local governments from the Wisconsin Department of Transportation (WisDOT). A statewide public outreach effort to collect citizen input on Wisconsin’s transportation needs and challenges will come to West Allis on Tuesday, May 20 and Kenosha on Wednesday, May 21. This will be the last of nine planned public town hall meetings hosted by Wisconsin Department of Transportation (WisDOT) Secretary Mark Gottlieb as part of the department’s “Transportation Moves Wisconsin” initiative. The Wisconsin Department of Transportation (WisDOT) will begin demolition work tonight (Friday) on the north half of the existing Wisconsin Avenue Bridge over US 41. Meeting to focus on the preferred roadway layout, affect on County park lands, bicycle/pedestrian facilities, and Master Plan concepts. Last month, 27 people died in 21 crashes on Wisconsin roadways, which made it the safest month of April in terms of traffic deaths since the end of World War II. Wisconsin counties will receive a total of $9,099,563 in state funds to help complete 41 county highway improvement projects. Pavement repairs will take place on SB US 45 at Center St. 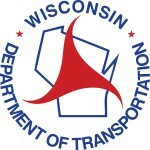 Governor Scott Walker today announced that payments totaling nearly $80.5 million for General Transportation Aids, Connecting Highway Aids and Expressway Policing Aids have been delivered to local governments from the Wisconsin Department of Transportation (WisDOT). A total of 33 people died in 30 traffic crashes in Wisconsin last month. Governor Scott Walker has proclaimed March 3 to 9 Wisconsin Transit Week. Governor Scott Walker today announced that payments totaling more than $104 million for General Transportation Aids, Connecting Highway Aids and Expressway Policing Aids have been delivered to local governments. Although no one really knows what the New Year will bring, everyone can take steps to make sure 2014 doesn’t start with a drunken driving arrest or crash. Trick or treat… give me safe habits to seek! Although most of the scary parts of Halloween are imaginary, there is one terrifying aspect that is all too real—drunken driving. The Wisconsin Department of Transportation (WisDOT) encourages students to walk to school on Wednesday, October 9—which has been declared International Walk to School Day.